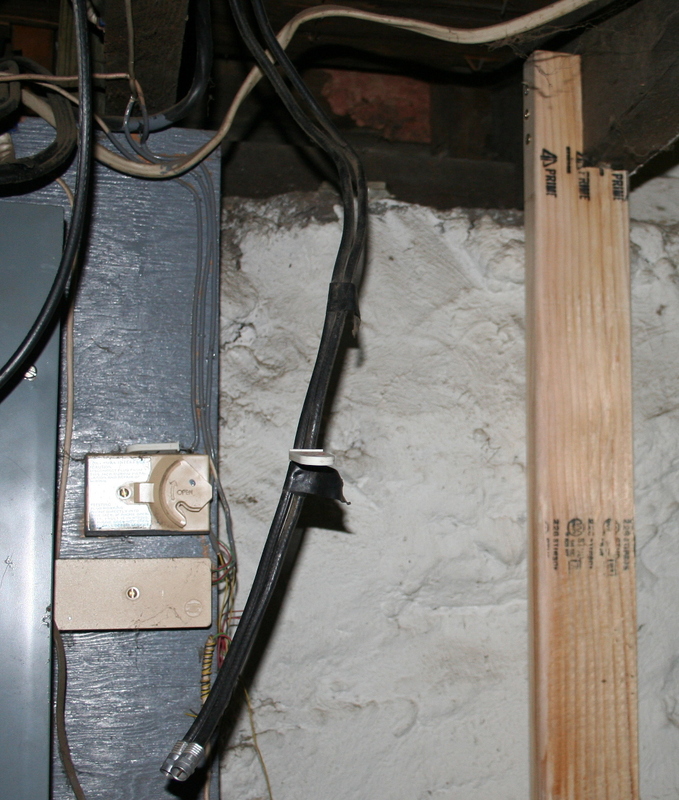 This first pic is how my coax cable 'hub' (if you can call it that) has looked for 8 years. Sad. 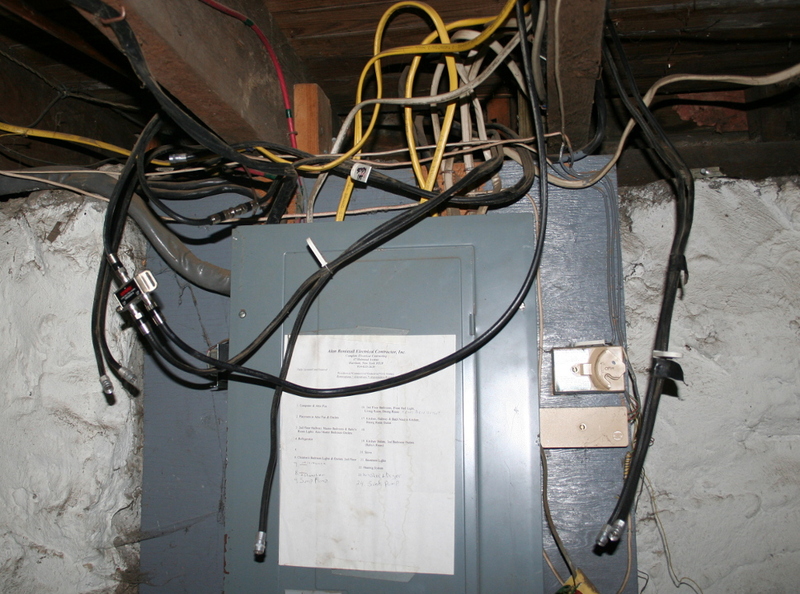 It is a little difficult to tell which cables are coming in from outside ... and which are internal. 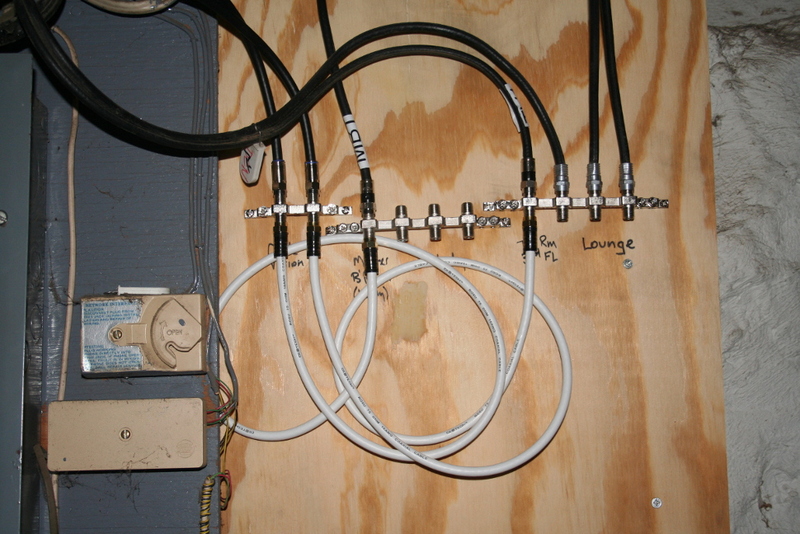 The solution - put up a coax panel. Very similar to the power curcuit braker. I get to 2x4s to hold the board. If I put them up the same way as the power board is ... 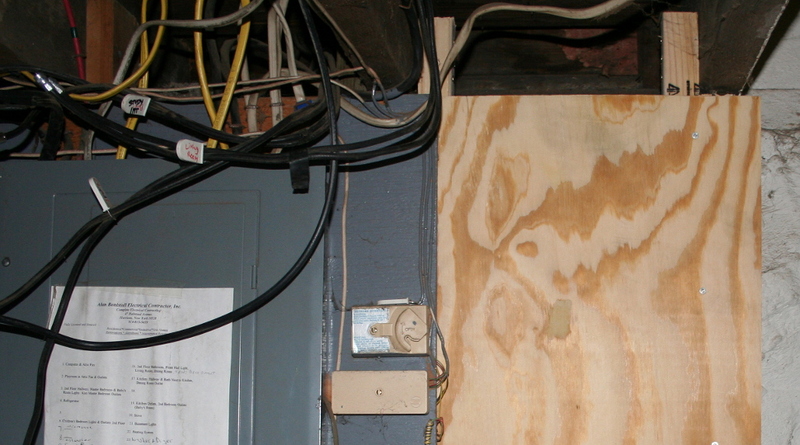 I couldn't slip the ply wood behind the power ply wood. So I have to turn them ... and cut out a 'tongue' so that I can nail the two supports up. Here it is with the virgin board in place. 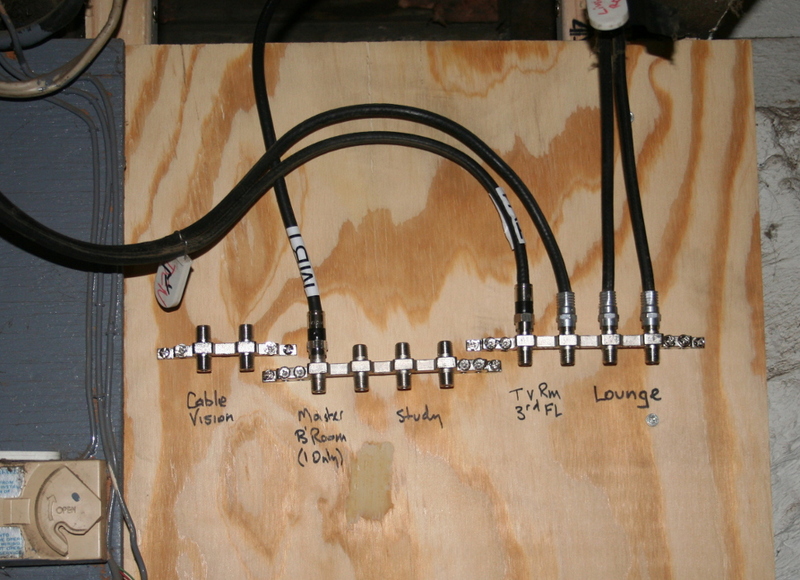 And now with my version of a coax patch panel. I used a couple of these cable ground(er) blocks. Now all of the internal cables are clearly marked (all on the right) while the cables coming in from Cablevision are also marked (left). 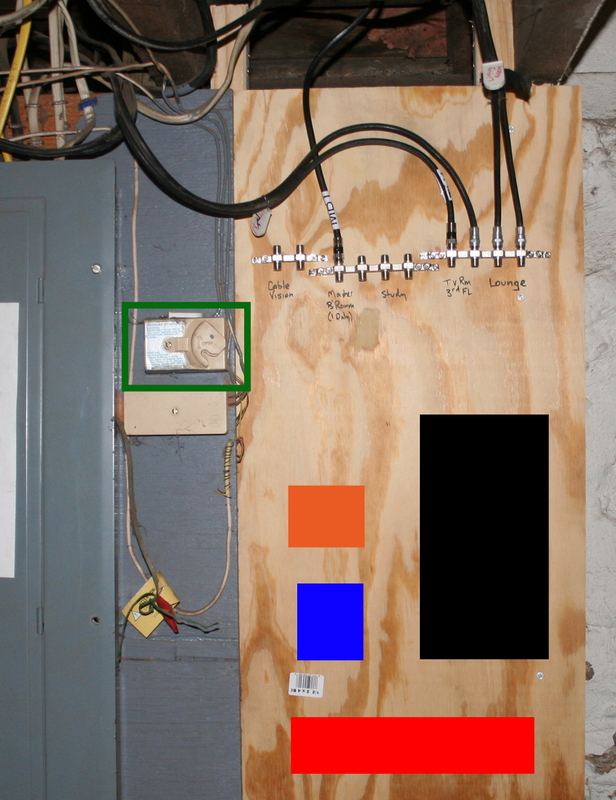 I've even labelled some of the cables and also the corresponding ports through out the house. And with white patch coax cables in place. The patch cables are a little long ... but I need them for future uses (see below). Here is a pic of the (expected) future state of this board.